Learn more | Where's the funding? Investing in our children is investing in the future of Saskatchewan. 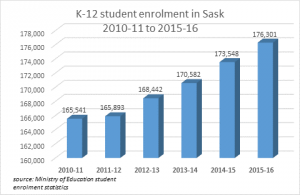 Even though there has been a slight increase in K-12 enrollment under the current government, funding levels are currently at the lowest in modern Saskatchewan history. Per pupil funding decreased by $505 over last year (from $10,732 to $10,227). A recent report by Dr. David McGrane called Underinvesting in Our Future clearly shows that education funding in the province of Saskatchewan has fallen from an average of 3.08% of GDP to only 2.6% of GDP. “Had the government continued to fund K-12 education in Saskatchewan at the same percentage of provincial GDP as the last four years of the Calvert government, there would have been approximately $2.4 billion more spent in the K-12 system from 2008 to 2014,” said Dr. David McGrane. Many of the problems with funding issues trace back to the provincial government’s decision to remove the school boards’ ability to set mill rates. School Boards no longer have the ability to raise the revenue they need to provide quality education and they are completely dependent upon the provincial government who controls funding. Last year, school divisions collectively found $19 million in savings to meet government demands for “efficiencies”. The new government target is $60 million by August 2019. In 2016, the government clawed back the $4.5 million WCB rebate from school divisions. The government also downloaded the cost of the last two years of the teachers’ agreement onto the school divisions (a cost of $9 million in 2016). Many school divisions have used some of their reserves in the last two years to cover shortfalls in operating costs. The Minister will not let them do this anymore without his approval. The government is demanding 3.5% reduction in compensation for all public sector workers, including education workers, followed by a three-year freeze. This is in addition to the massive cuts to school divisions’ operating funding. When inflation forecasts are considered, this could amount to a 9.5% cut in compensation over four years (inflation could be lower or higher). The government wants all public sector workers to agree to a cut, even if their collective agreement is closed. It is not against the law for an employer to ask the union to re-open the collective agreement, but it cannot force the union to do so. Budget cuts have real consequences for children, placing both the quality of education and the safety of children and workers at enormous risk. There are more and more students in our schools who have unique needs, whether those needs are medical, behavioural, or whether they just need extra academic support. Vulnerable students need an increased number of dedicated educational assistants, not fewer, to successfully integrate into the school system. With less support for vulnerable students, all students feel the consequences. There is simply no way you can slash the number of staff dealing with special needs students, slash the numbers of workers keeping our schools clean and safe and running smoothly, and expect the same quality of education for our kids. Budget considerations should never come before the rights to a quality education for our children, especially children with diverse needs. Many school divisions are already feeling a budget pinch. 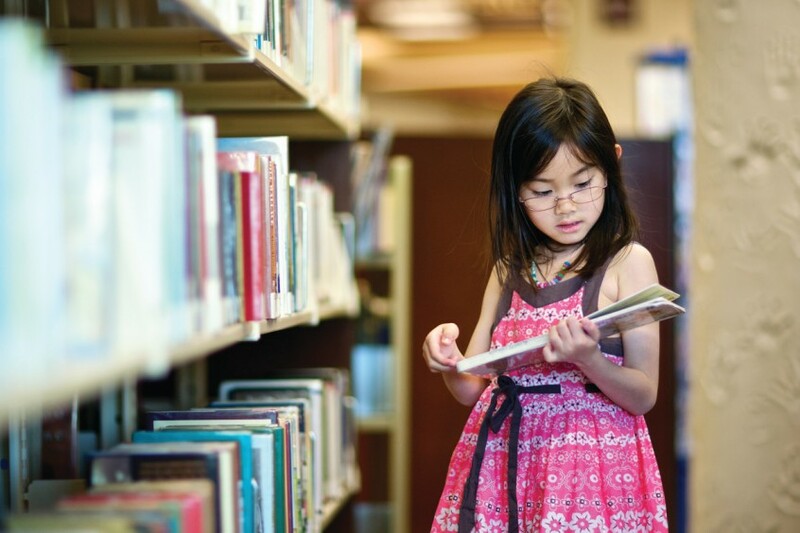 Many school boards are dealing with increased enrolment and more complex student needs, including an influx of new immigrant students who have English as an Additional Language needs. Even a modest increase will not be enough for some school divisions to meet the need for frontline support staff.